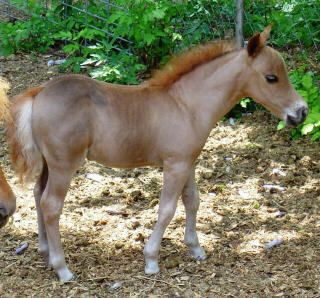 This is a 31 1/2" yearling BUCKSKIN appaloosa bred colt that was GELDED ON 11/29/06. 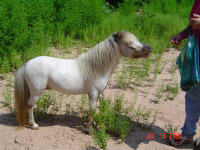 His dam is a 28" buckskin mare and his sire is a 30" chestnut few spotted appaloosa stallion we used to own. 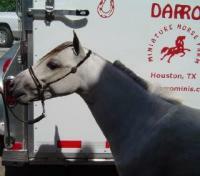 He will make a great SHOW gelding in Halter with a Youth or Amateur classes. He has the refinement to win in the halter gelding classes and he has the height to become your next performance horse or SHOWMANSHIP class’s horse. I have new pictures of him since I clipped him and he has a couple of spots on his legs and a few between his eyes and nose too. He has molting skin all over his body and other appaloosa characteristics. SOLD!!! Thanks and Congratulations to Laurel Stanko of Columbia, SC!